It seems unimaginable that just two years ago, Virat Kohli was no more than a bunny for the England pacers, particularly James Anderson. On his first Test tour to England, Kohli struggled with moving deliveries outside off, often brought his bat down from gully leaving a gap, and clearly suffered from lapses in concentration. 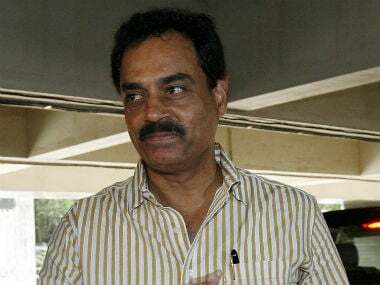 After two noughts and scores no more than 39 in eight innings, he asked for his childhood batting coach Rajkumar Sharma to come over in a near SOS. In the final Test, England made 101/3 from 11.3 overs on the third day, while India were bowled out for 94 – on the same day, on the same pitch. Kohli scored 6 and 20. The shared feeling of humiliation that had come to Kohli three years after making his Test debut, had been there prior to that series and it stayed later, with losses in New Zealand and South Africa. When he took over captaincy in Australia after another lost series, it ‘was the beginning of our transition’, as he put it today, after a catastrophic phase. 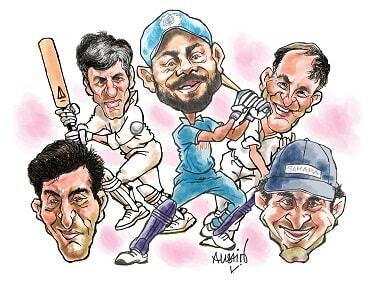 Kohli now bears the characters of two of his iconic predecessors. After Sourav Ganguly took over the reigns, he banished one long-standing disorder from the Indian team – being okay with mediocre performances. His team too would struggle abroad, but not without believing to win or delivering a fight. MS Dhoni, as he confessed recently, was impacted by the humiliation of India’s 2007 World Cup before he embarked upon a mission to make a young, fit side that would clinch the next World Cup. It’s a tad early to call if Kohli will show similar leadership qualities viz tact, long-term vision, and pressure-bearing capacity as the India’s two most successful captains, as he’s leading in only one of three formats. 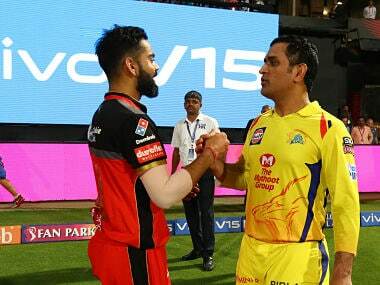 But as he knows the other reigns are bound to come his way, he would be wise enough to take notes from Dhoni the captain, a tutor with one of the greatest resumes in short formats. A critical aspect of captaincy is one’s own performance, and that’s a department where Kohli has shattered perhaps his own expectations. 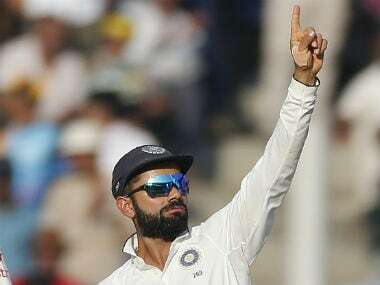 From smashing a century on captaincy debut, to becoming number one, to reaching his career high score in the Mumbai Test, Virat Kohli the batsman has done his team a huge favour – of looking up at no one else but their leader in lessons on batting to win. Interestingly, he joins Michael Clarke and Brendon McCullum among others to have scored three or more double tons in a calendar year as captain. If there is a theory about aggressive right-handed batsmen turning into fine leaders, Kohli will prove it and take it to a new level of excellence. That said, captain Kohli’s superhuman armour of batting skills having a few chinks isn’t just loose talk by James Anderson (who mentioned it recently.) He will be put to test when he next plays under London’s grey skies or on a bouncy Durban track. After all, he might want to trust the world’s finest swing bowler when he gives such a critique. And then, even though he would have addressed his outside-off troubles or developed a steely mental resolve to bat long sessions, the heavy crown of captaincy might feel heavier – with decisions on declarations, selections and the like riding on his mind. How Kohli the batsman and Kohli the captain faces adversities in the forms of follow-ons, injuries to key players, and hostile foreign media will be a delight to watch. Rest assured, he will only need to fall back upon recent history to find answers. Who knew ignominy would be such a fine teacher?